With the 2019 edition, WIMA has reissued its printed main catalogue. The catalogue covers the entire standard range of plastic film capacitors from WIMA such as SMD capacitors, Miniature capacitors, Film/Foil capacitors, Metallized capacitors, Pulse capacitors, RFI capacitors, Filter capacitors, Snubber capacitors, GTO capacitors, DC-Link capacitors and Supercapacitor modules. In addition to the detailed main catalogue, the well-known short-form catalogue has also been reissued as an overview of the entire WIMA spectrum. 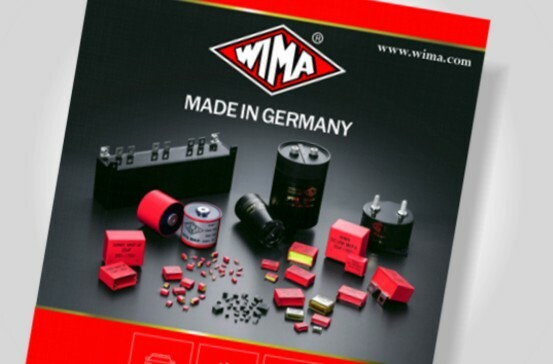 The printed catalogues can be obtained via our Contact form or your local WIMA distributor. PDF versions are available in the Download area.